The Deep State's attempt to interfere in the 2016 election is backfiring on them. "The release of Mueller report this week marks the supposed end of one of the great conspiracy theories of our time: #QAnon"
Nothing to see here, just another monday, no big deal, nothing really happening, enjoy your afternoon. 2) another component of this setting that demands a dig. Bottom line. Who os this "He", that, it's felt it needed redaction? 3) This release is a veritable who's who of those that were "heavily engaged" in the #Comey/#McCabe meetings which #BillPriestap's testimony notes. The "could not exonerate him from obstruction" ruse worked like a charm. Dems are so adamant to get their hands on the full Mueller report, they are preparing a subpoena. All the report will show is [their] full catalog of crimes to defraud the people and collapse our government. If we can somehow get Dems to force the issue and bring the #pain on themselves, Trump can never be accused of weaponizing the Special Counsel against his enemies. Optics are important. The irony Todd's case highlights is that Psychotronic Weapons--used by @TheJusticeDept as per Janet Reno's MOU w. #DOD--are being used to assault and abuse brains, influence behavior, and incite action, but SECRETLY, so #FBI/same #DOJ can swoop in & arrest for Inciting Emails. Schitt is Chairman of House Intel. He saw Mueller's probe for the nothingburger it was, yet was not afraid to mislead the public every night in the Fake News. He thought the [family] would get away with framing Trump, but #DECLAS is where his liddle party ends - for good. Liddle Schitt didn't know Mueller would flip and play ball with the patriots to save himself, so had no problem lying every night on TV. He was in the Gang of 8, so pushing the Russia scam was a deliberate deception against the people. Q points out that the word "knowingly" is Trump spotlighting Adam Schiff's participation in the treasonous attempt to overthrow and destroy our government, as referenced in 18 U.S. Code § 2385. Liddle Schitt is toast. 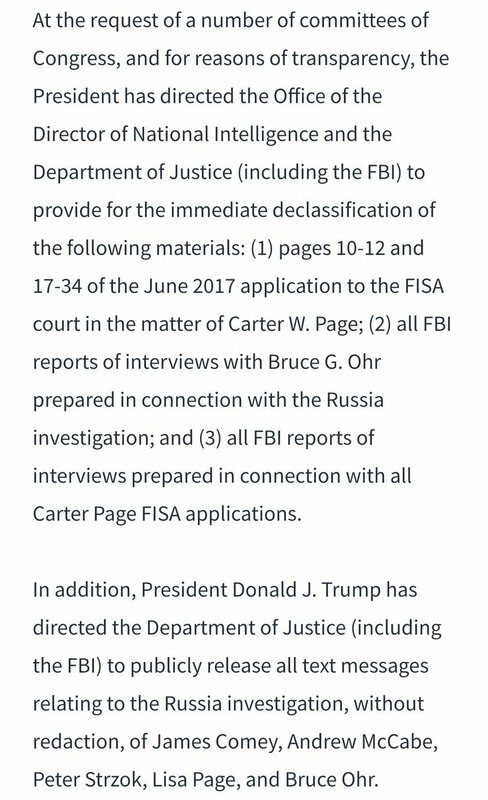 @realDonaldTrump just recommitted to declassifying the @carterwpage FISA applications. He also said he's glad he waited until the right time. He just tipped his hand regarding the tarmac meeting. "What happened in the back of that plane?" Trump was dropping bombs tonight. Yes, exactly like this bomb. We're approaching the target. DOJ coordination w/ UK re: #DECLAS OF #FISA? Anon's msg is dropped re: Intel agency interview. Good luck Anon! #Q text reads the same w/Autist's should consider intel programs, they're super qualified! 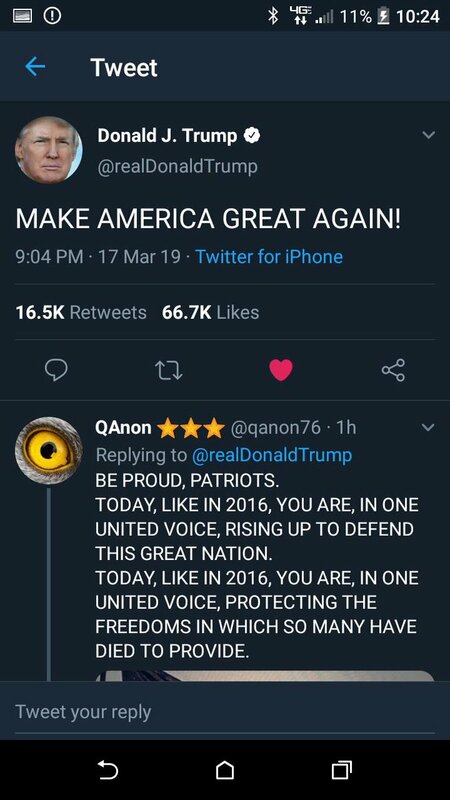 Was just 🤔that on the resume 4this application, 2an alphabet agency, 1 would list Operation QAnon, yeah? Now me, maybe getting past muh prime & #SpaceForce janitor would be more akin 2the available talents, that is, unless working from home is an option? Anon asks how far 2take the #MAGACoalition dig? It's clearly a scam op, links 2corruption are evident. If you have complete AUTH TO #DECLAS, what advantages does that present? YOU ARE THE NEWS NOW." 1/ Was the September 17, 2018 declassification real, but the recipients of the documents few? Notably the @WhiteHouse's in house counsel that handles everything Mueller, Emmet Flood, is at Mar-a-Lago this weekend. This article is the epitome of #Panicked hit pieces. 2) went into shock after #RobertMueller handed over his final report 2the #DOJ's new #AGWilliamBarr. WAs just on the #QMap & the number of visitors is being censored. 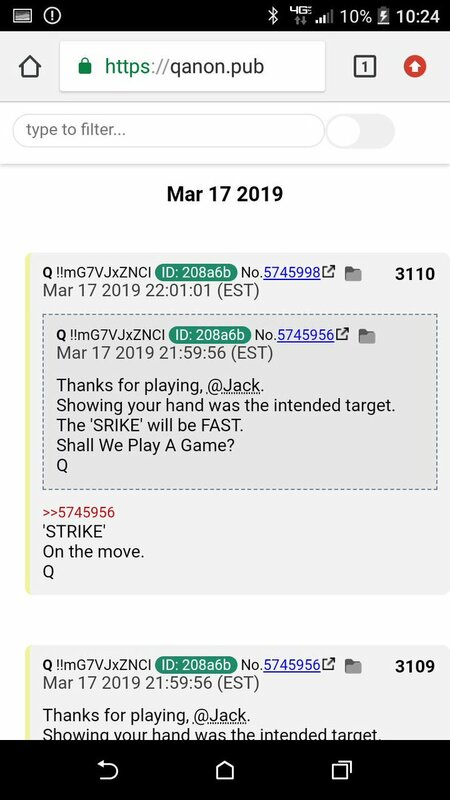 🤔U can bet that's the story across the board as we move forward toward the #DECLAS. 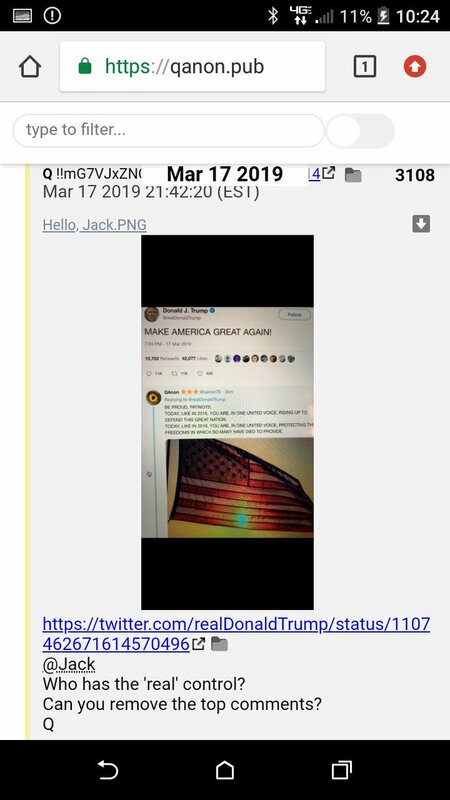 #Q drops a proof with No. 2681, the countdown, w/#D subpoena section in brackets & an @NewsBreaking Tweet on the same subject. What we're seeing is reactionary acts due 2the spreading #Panic. The #TreasuryDept decided that they would impose further sanctions on #NK after Thursday's decision 2blacklist 2 #Chinese shipping companies 4helping NK evade sanctions. #POTUS negated that idea. Anon file shown has 2681 & says: "WE KNEW". 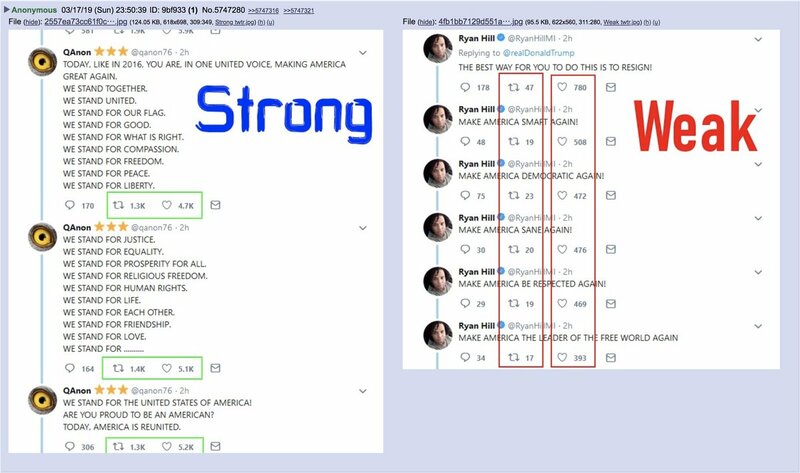 The text goes 2the possibilities that #QProofs could be coincidental when there are one after another.